Make your event unforgettable, book Toploader to perform at your event – we are a booking agent for Toploader, and can arrange for them to perform for your guests. Toploader are a British band from Eastbourne who formed in 1997, with over two million album sales to their name and a string of top 20 hits both home and abroad. Their debut album, Onka’s Big Moka, sold over 1 million units and remained in the Top 5 of the UK album chart for over six months. Their cover of King Harvest’s song “Dancing in the Moonlight” became a global hit for the band. The band line-up is four of the five original members, Joseph Washbourn, Dan Hipgrave, Rob Green and Matt Knight. 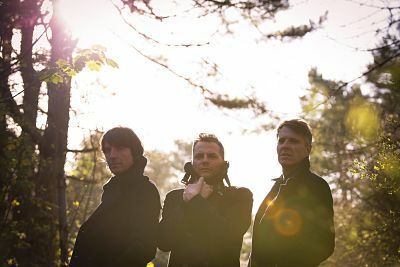 Toploader released a new album ‘Only Human’ on 6th June 2011, with new single ‘A Balance To All Things’ (featuring a remix from Ash Howes) following on 20th June. Contraband is the UK’s top booking agent, with passionate, knowledgeable account managers who guarantee you the best deal possible. Contact us today if you would like to book Toploader to be the headline of your event! We as your booking agent are more than happy to help you create the most memorable moments with Toploader.